The seminar is free of charge, open to anyone and will start on 25thof February. 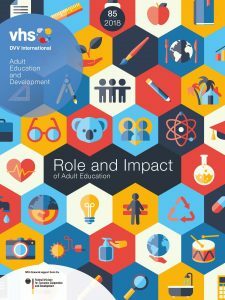 You can already find the articles here: https://www.dvv-international.de/adult-education-and-development/editions/aed-852018-role-and-impact-of-adult-education/get-involved/icae-virtual-seminar-2019/(in English, French and Spanish) and follow the discussion on the dedicated ICAE Website http://virtualseminar.icae.global. Do you want to participate? You can register hereor send an e-mail to policy@icae.global. Registration is open now! This entry was posted in News and tagged Virtual Seminar 2019 by Ricarda. Bookmark the permalink.